On January 11, Overton Moore Properties announced the signing of a fifteen year lease, relocating the Torani, Inc. corporate headquarters and manufacturing facilities from South San Francisco to San Leandro. The 327,000 square foot lease has a value in excess of $65 million. Torani will be moving to Overton Moore’s new Class A industrial building, the Marina Gateway Center, under construction at 2000 Marina Boulevard. Overton Moore’s vision for the development was to land a tenant in advanced or food manufacturing who would see the value in the pre-designed building features, freeway access, the Lit San Leandro fiber optic loop, and a strong local labor pool. “We are delighted to have Torani as a long term customer,” said Timur Tecimer, CEO of Overton Moore Properties. 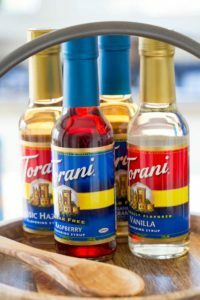 Family-owned Torani will manufacture their internationally available products at the new San Leandro location and plan to have a café, tasting area, and tours open to the public. Currently Torani employs around 200 people worldwide and expects to have 180 people at the San Leandro location, growing to 350 by 2030. In business for 93 years, Torani still strives to be entrepreneurial in spirit and has developed a product line of more than 200 naturally flavored syrups, sauces and beverages bases created to add to coffees, sodas, teas, smoothies, cocktails and more. Torani is involved in many community projects, with a purpose of Flavor for All, Opportunity for All. With an emphasis on the sustainable manufacturing of quality products, Torani will be a valuable addition to the San Leandro business community. 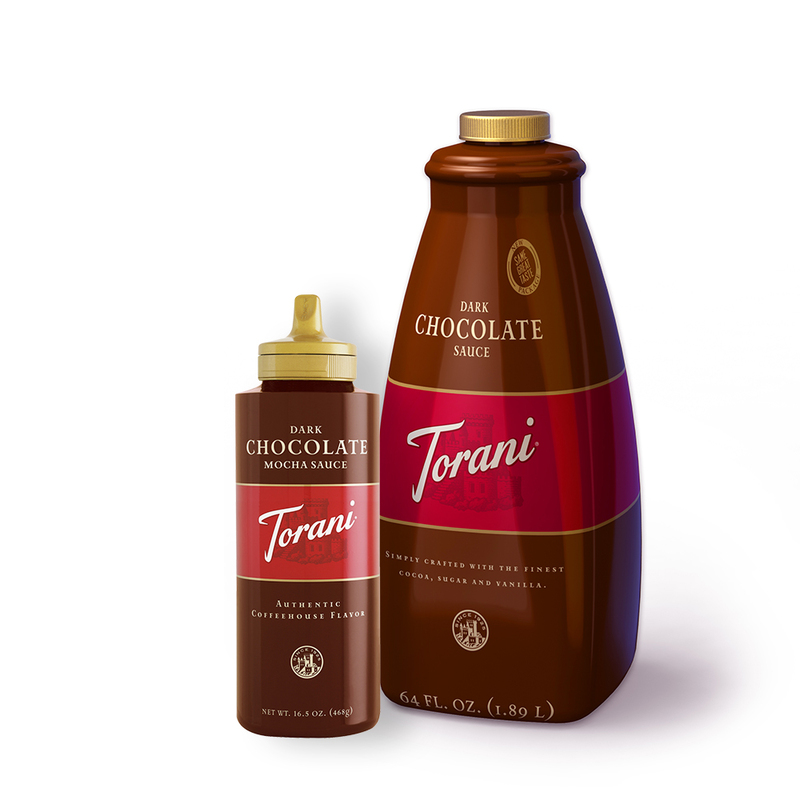 Torani joins a strong network of food and beverage manufacturers in San Leandro including: Ghirardelli chocolates, Mi Rancho tortillas, Saag’s and Aidells sausage, Otis Spunkmeyer baked goods, Loard’s ice cream, Pavel’s yogurt, Coca-Cola beverages, and of course Drake’s, 21st Amendment and Cleophus Quealy breweries. 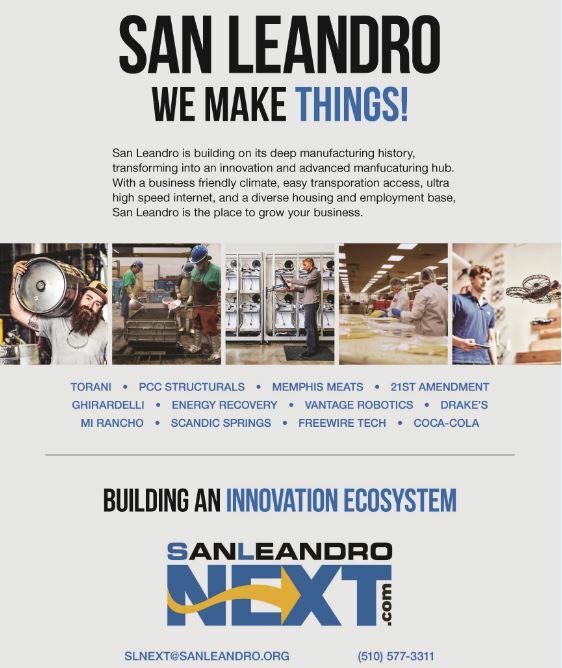 Here in San Leandro, we are proud to be a community where We Make Things! See below for our latest promotion in the January 12 issue of the San Francisco Business Times, celebrating the city’s long history of manufacturing. Would I be able to buy my sugar free syrups and other sugar free products directly from this new location? This is Catriona Wiley, from Torani HR. We are so excited about our upcoming move and the new opportunities it holds, for existing Team Members AND for new Team Mates. As we are in growth mode, We have a number of current open roles, one of which is for a Maintenance Technician. We would love to see your application. This is so exciting! And, so local!! Will you have admin positions at this location? I have 26 years experience in shipping (17 of which were international!) with my most recent 8 years in a domestic distribution environment. Oooh, I’d love to work for/with Torani! Is there a website with open position listings? We share your excitement, and very much look forward to joining the San Leandro community. We have lots of open positions, with more and more coming every week. Torani continues to grow double digits year-on-year, so it is a great time to join the team and share in our success.